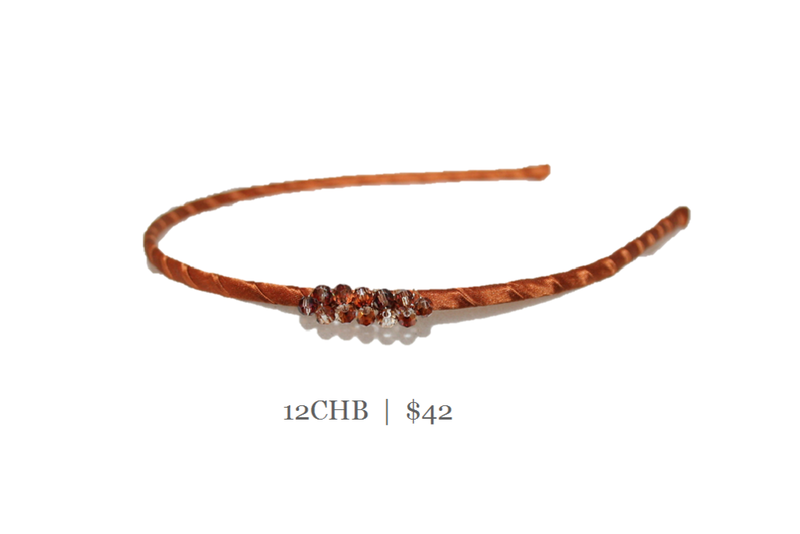 This flexible 1/8" silk wrapped headband has a side crystal accent for that perfect amount of sparkle. Bendable to ensure ultimate comfort. Shown here in copper silk. Choose a silk color and we will use a complimentary crystal color to match.